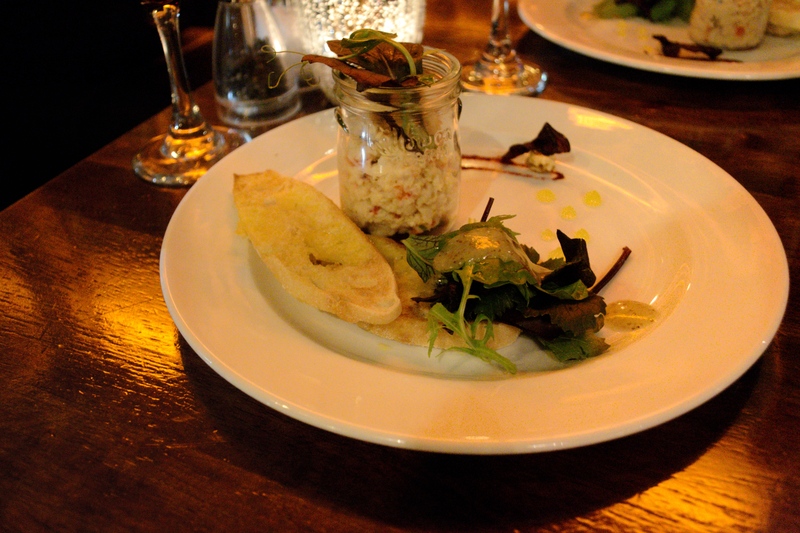 Truffles is nestled in the heart of Kilkenny city and it is by far top of my list. 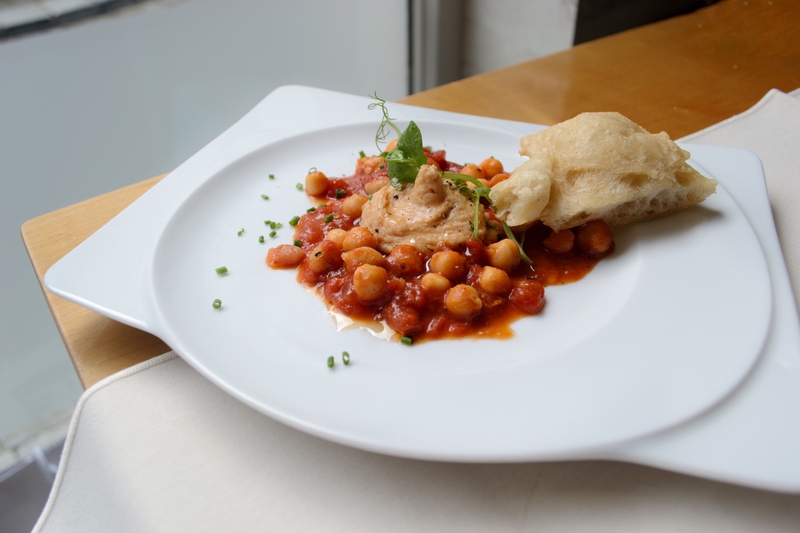 It specialises in European cuisine using local ingredients, which are prepared using modern French cooking techniques with an Italian hint. 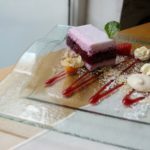 They also provide an extended menu for Vegan and Vegetarian guests. I had their Fire roasted Tomato Hummus which consisted of earthy flavors, created from Tahini, Turmeric, Cumin, and Onions. This was served with Fried Pitas and Spicy chick peas-tomato relish. I have never tried tomato hummus so this was a first for me and it certainly didn’t disappoint. I ordered the Catch of the Day for my main course. 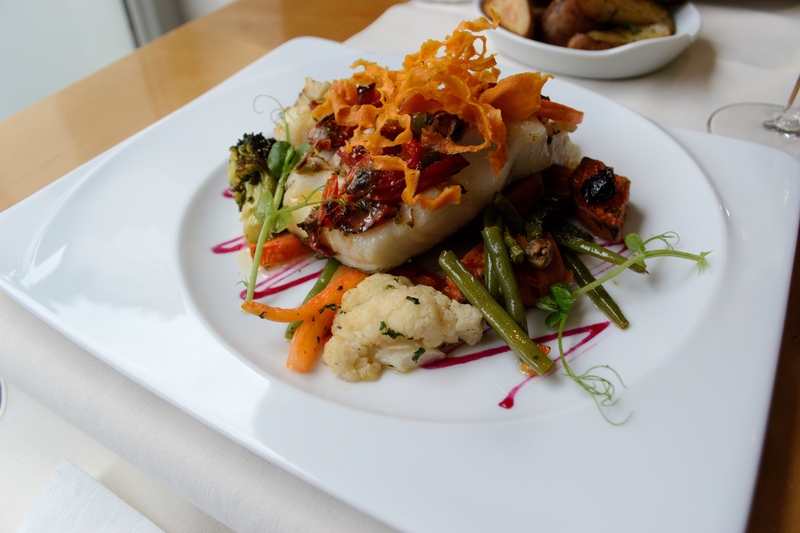 This was oven baked cod fillet with seasonal vegetables. Delicious! A great location, a warm atmosphere and the owners and staff were so friendly. I can’t recommend this place enough! 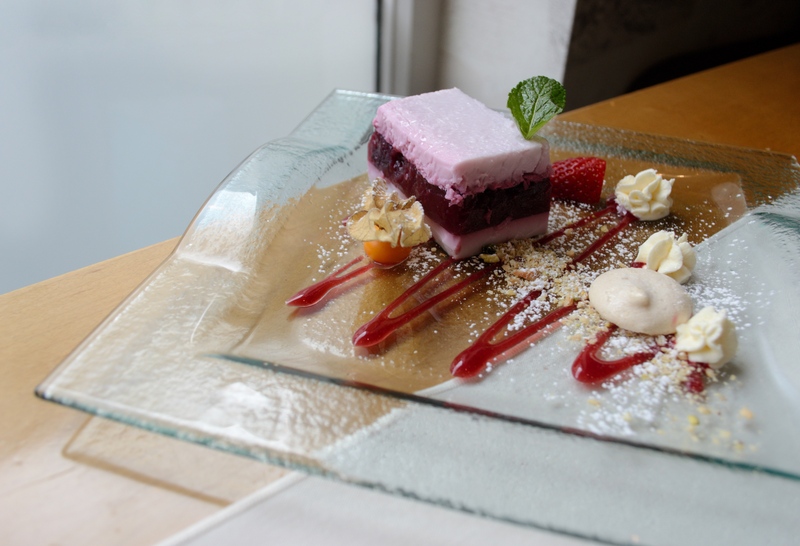 Ristorante Rinucinni is a family owned and run multi award-winning Italian restaurant located across from Kilkenny Castle. 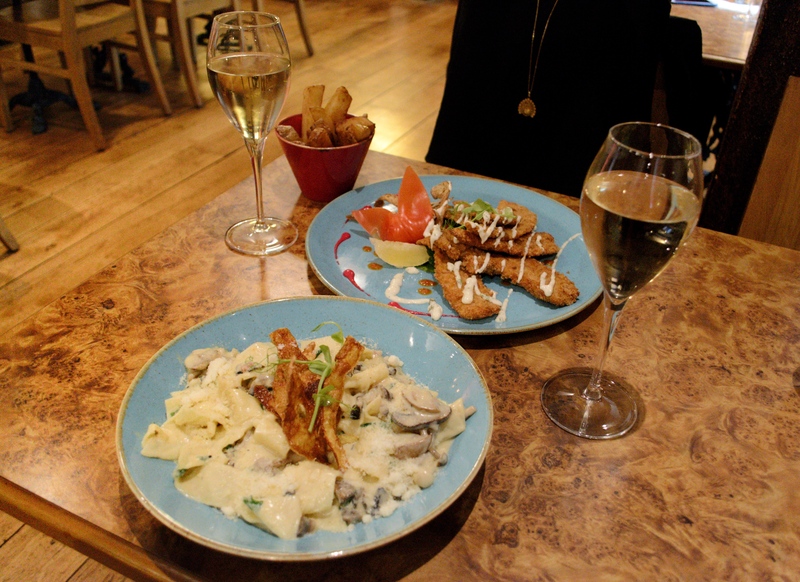 It specialises in classic Italian cuisine and boasts an extensive menu selection, catering for lunch and dinner. Again, this restaurant is another one of my favourites. I was so impressed by every aspect of the dining experience. 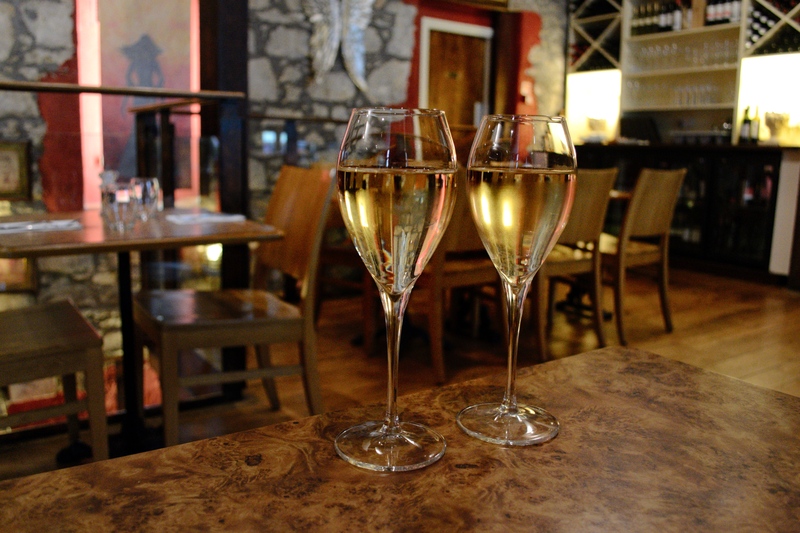 Fantastic customer service and a bubbly atmosphere – their food and wine menu will not disappoint. 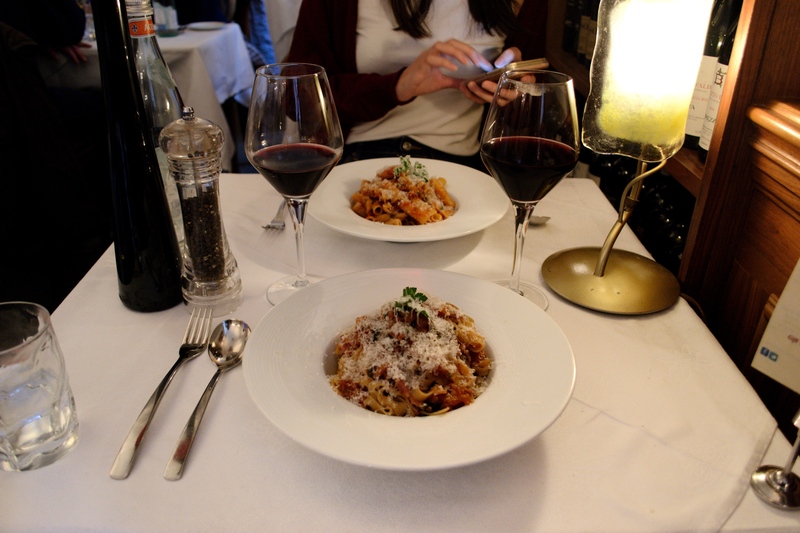 I had Affettato di Gamberi to start followed by Fettuccine Alfredo and a glass of Cabernet Sauvignon. The meal was cooked to perfection. 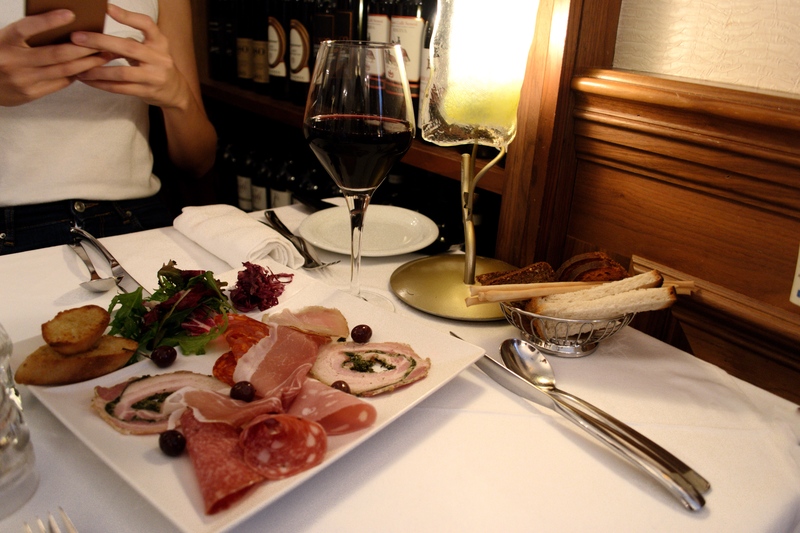 I would highly recommend popping in here if you’re a lover of Italian food and fine wine. 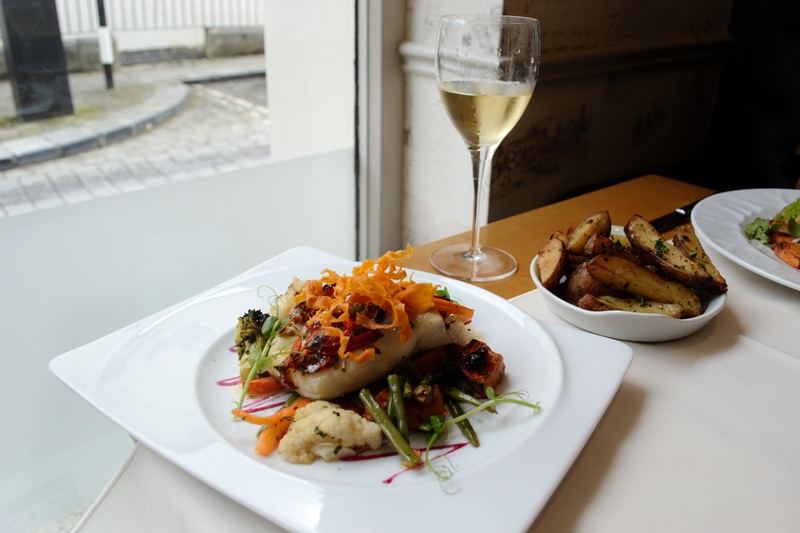 Zuni is an award-winning restaurant and boutique hotel that is just a 5-minute walk from Rothe House and Kilkenny Castle. They serve lunch from noon to 5pm. Wine and Tapas is served from 6pm each night too. Zuni has been listed in the Bridgestone Guide top 100 restaurants in Ireland for the past 8 years and it has been listed in the Michelin guide since 2001, a testament to its excellent food and ambience. This is a great spot for cocktails and of course food. 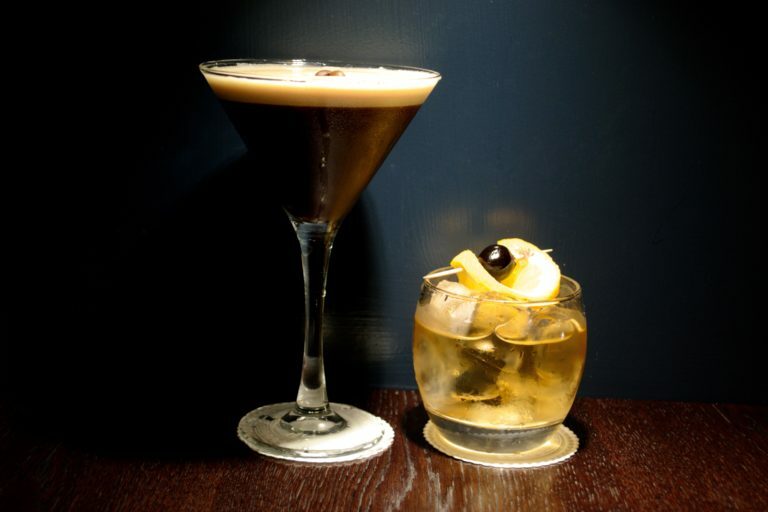 Their espresso martini cocktails are an absolute must. 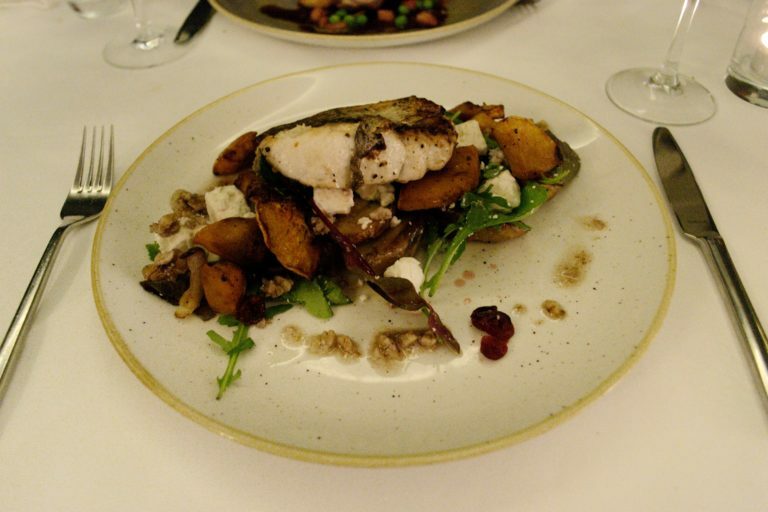 On my last visit, I opted for a hake dish which was both flavoursome and fresh. I also ordered a bottle of Montepulciano (highly recommend). The cherry on top was definitely their chocolate ball dessert. It is safe to say you could see my face light up as soon as the waiter started pouring hot chocolate sauce over the chocolate ball. It melted before my eyes. (heaven on a plate…literally). It really is the little things in life. Harpers is a restaurant, cocktail bar and late lounge located in the heart of Kilkenny city. I had dinner here on Saturday night and I was really impressed not only with their food but with their extensive wine and cocktail list and selection of gins, whiskeys and various other spirits. They also have a late night Piano Bar which I loved! It really added to the overall experience and atmosphere. I had their famous Potted Prawn and Crabmeat starter and a juicy steak for my main. A great spot for both food and drinks. 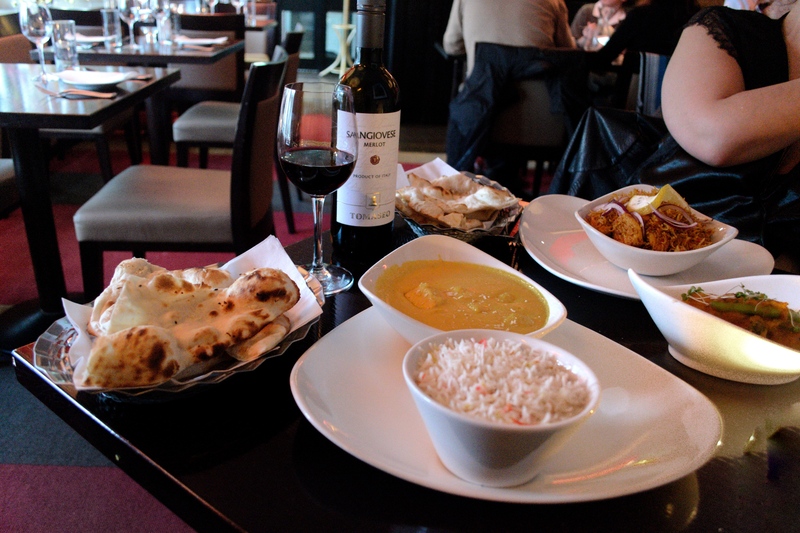 Royal Spice Restaurant is another great foodie spot located in the heart of Kilkenny city. 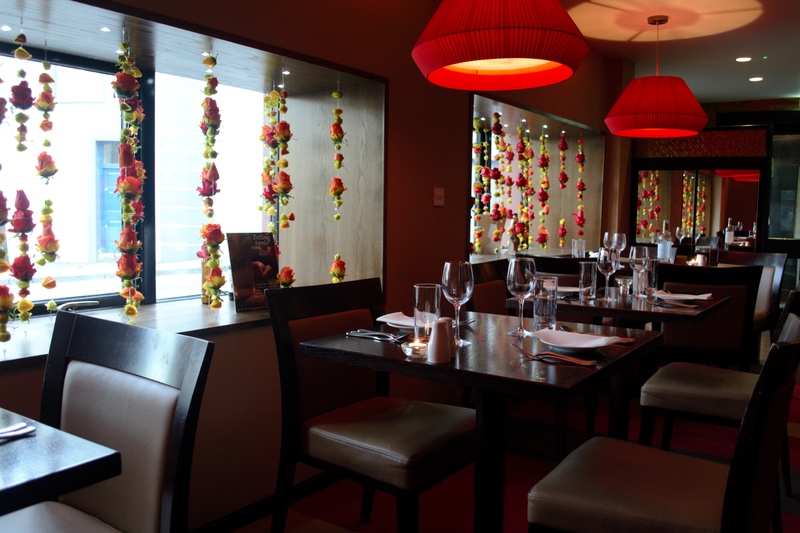 I am a huge fan of Indian cuisine and Royal Spice exceeded my expectations. They have a really good selection of dishes such as Tandoori Lamb, Masala, Traditional Curry, Chicken Tikka, and my favourite, Samosas. I ordered a Chicken Korma dish with a side of Pilau Rice, Samosas and Garlic Naan bread. Overall, there was a warm atmosphere and our waiter Sujon was so friendly and chatty. A must if you are a fan of Indian food. 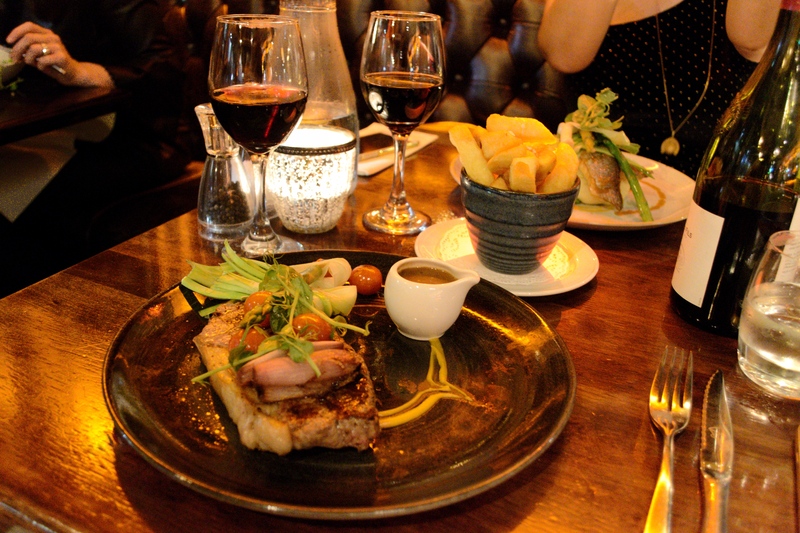 Petronella Restaurant-Cafe is located on Butterslip lane and it is definitely a hidden gem. Expect an intimate and relaxed dining experience that offers something different to its customers. Their menu has a lot of choice which is always a good thing. Lots of Irish, European and Vegetarian cuisine. I ordered a creamy pasta dish and a glass of white wine. 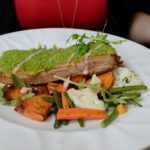 Delicious food in a beautiful hidden location in Kilkenny city. Again, very friendly staff, great customer service and a bustling atmosphere. 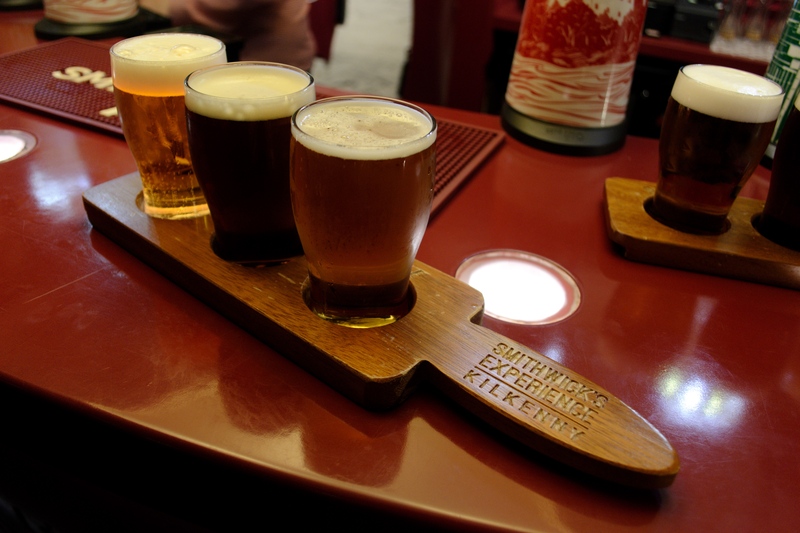 The Smithwick’s tour has been on my ‘Kilkenny to-do list’ for some time so I was excited to finally have time to go. Our tour was about an hour long and we learnt lots about how the ale is made as well as the history behind Smithwick’s. We also got to try three different ales which was a great way to end the tour. Our guide was really informative and the tour itself was really enjoyable. We learn lots on the way. The building is located less than a 10 minute stroll from Kilkenny Castle. A great addition to Kilkenny’s famous Medieval Mile. 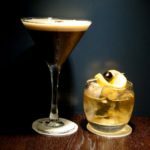 There you have it – my Kilkenny food and drink guide. A huge thank you to Kilkenny Tourism for making this a trip to remember! I still have a list of places that I want to visit so I will definitely keep you posted on those. Have you been to any of the above? What did you think? I am working on a Kilkenny Shopping Guide blog post too at the minute so if you’re looking to update your SS18 wardrobe watch this space. 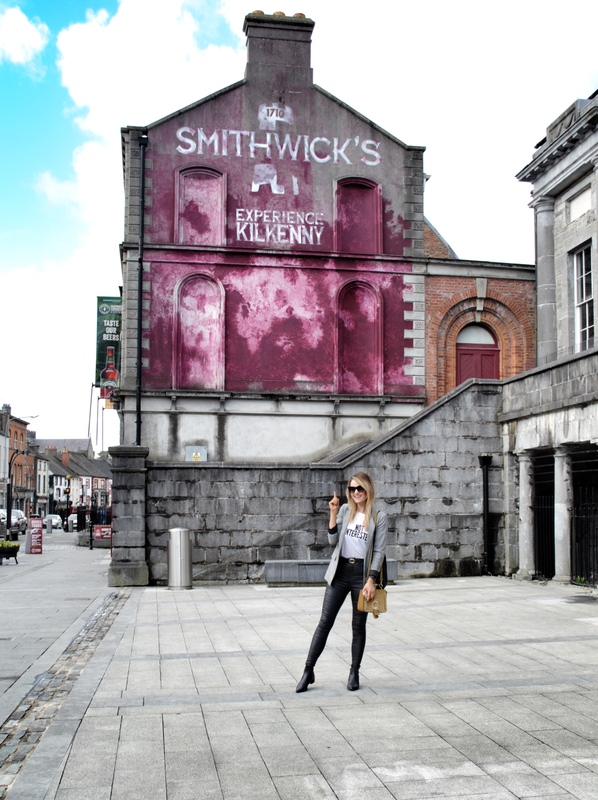 Check out Nirina’s blog Killer Fashion to read more about Kilkenny.